Aggie has found a new Forever Home! 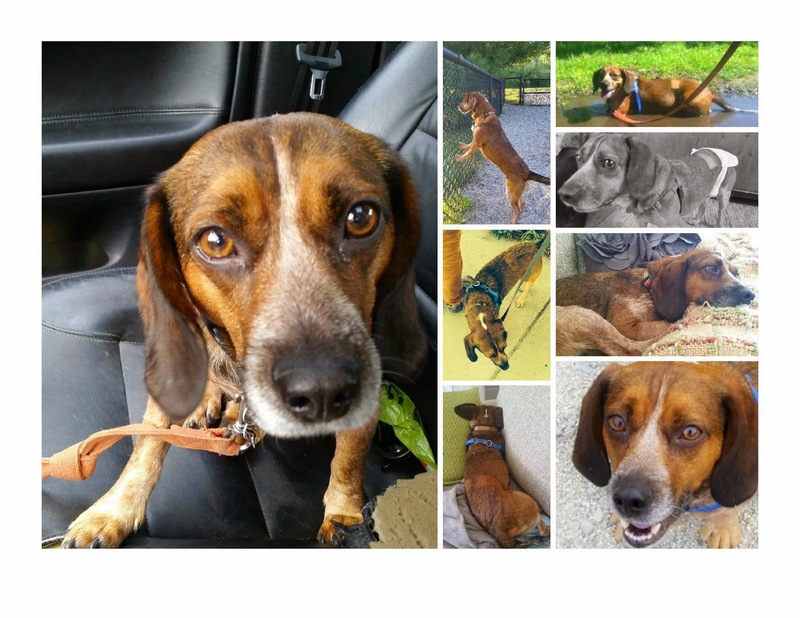 I write with hopes that you can help me find a new home for Aggie, the 3 year-old beagle/ (coonhound?) mix that I have been fostering now for eight months. Pictures attached! As most of you know, I adopted Aggie for my father while home in Mississippi. When my dad rejected her, I tried to return her to the shelter only to find that they had an 80% kill rate. So I brought her to Boston, where the drama began. Aggie has had a hard time since arriving here. It turns out she had heart worms, which required 16 weeks of treatment while confined to a kennel. She then went into heat (what an adventure- so hot to trot!). She also had some behavioral problems and has undergone a lot of training in order to address them. * Aggie would be happiest in the country or in a house with a yard. While her training has taken her a long way, city streets make her anxious and she will unpredictably lunge at passersby. * She likes to be part of a pack. Other dogs in the home would be a plus. I am not sure how she feels about cats. * Aggie gets along well with people young and old under most circumstances. However, she still has a reactive streak. In new situations (after a car ride, for example, to an unfamiliar place), she should be kept on a short leash and minded carefully. Aggie is spayed, house trained and kennel trained. She is playful and affectionate. She does't bark that much- only if she sees something marvelous (a rabbit!). If left home alone, she will bark for five minutes in protest. Please spread the word far and wide, in search of an experienced dog owner with a soft spot for beagles/ hounds! Potential owners should fee free to contact me- Reed Cochran- at this email address: or by phone (617) .